Socializing is the objective of most human beings. It is the means of creating complex communities that have a better chance at developing and growing. Most communities in the past were confined to the people living in the same area. But with the advancements in technology and the creation of social media websites and applications that can allow people to easily contact other people around the world, the definition of community has come to encompass any group of people who share a connection. And so online communities came into being, and social interactions were never the same again. Over the course of time, there have been numerous social networking sites such as Friendster, Googe+, Xanga, etc. that have come and gone but there are social media sites that look to be staying for a long time such as Facebook, Twitter, and Instagram. But the objective among each remains the same: be a means of connecting everyone online over the Internet so as to allow them to communicate or interact with one another without actually being there in person. SociallyViral is a WordPress theme template that is made to match that of an actual social media site so it can inspire others to actually interact with one another while on the site. 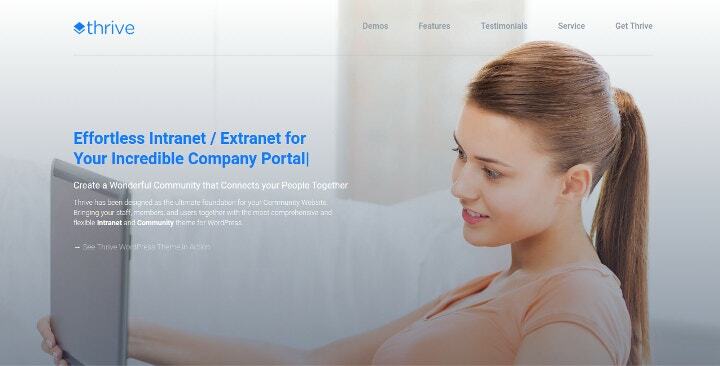 As you can see in the image above, the design for the web page evokes a friendly and welcoming atmosphere. This WordPress theme template is made to be engaging, fast in both loading and processing, and most importantly, boost network traffic to your site. As you can see from its appearance, SociallyViral is great for displaying fun and comment-worthy images and contents. This WordPress theme has several features that can increase the chance of your site being shared on other social media sites so as to generate even more network traffic as well as a feature that allows this WordPress theme to rank high on any search engine sites available. 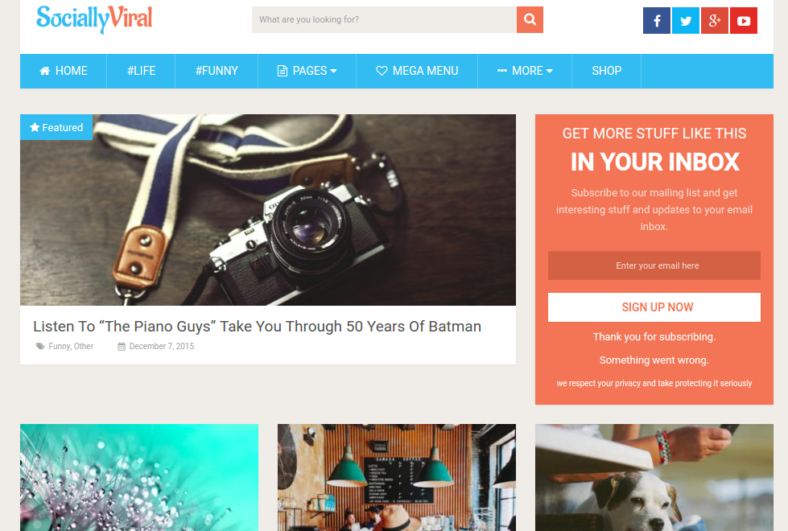 Besocial is a WordPress theme that is designed with the latest methods and techniques being implemented by the developers of BuddyPress. This being said, the developers of these themes took great care and effort on the creation of these website themes to ensure that the finished output will indeed look and function perfectly. Besocial has features similar to BuddyPress such as the extended profile options and menus, friend connection status, private chat messaging among members, activity streaming, and notification. This theme website also has a few other features that set it up above the rest. Further empowering the site, these other features include: Woocommerce support which is considered to be the easiest means of creating an online store on any site; a rating system of likes or dislikes (which allows for easier interpretation of trending topics and contents); a featured member system; customizable buddy widgets; FAQ systems for frequently asked questions; social media sharing buttons for easy sharing on other social media sites; mutual buddies of mutual friends; and many other cool features. 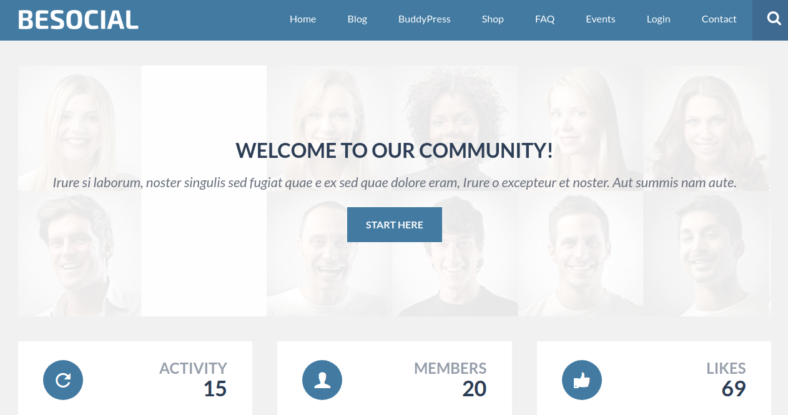 uBaddy is a WordPress theme generated by the creators of the BuddyPress and bbPress themes. It is designed to be a simple yet elegant website theme template and is made to be fully responsive across any device platform, which allows for easier access and easier interaction between people from different locations. This theme also supports a feature called Woocommerce that allows for the creation of an online web store that lets you sell certain products and or services online on your site. This website theme is made with the idea of creating a multi-purpose website theme that is capable of functioning as a social networking site as well as a store, a blog, and any other form of site you need. This flexibility comes from the fact that the website theme is made in a way that allows for the complete customization of the site and all of its features. It is also a retina-ready site, which means it reduces the eye strain experienced by viewers of the site by adjusting the display. 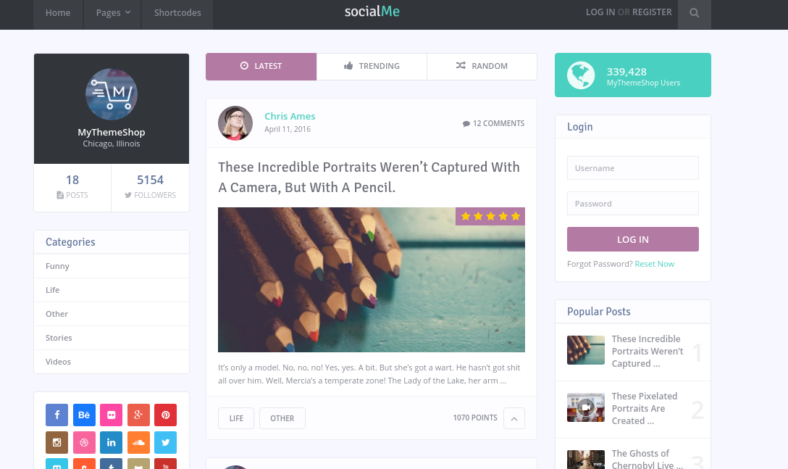 socialMe is made to be lightweight in terms of bandwidth usage and space, yet it still maintains a modern appearance with its designs and layout. This theme is considered to be one of the best possible choices for the creation of social media-oriented websites due to its ability to handle media-heavy content without showing any signs of actual deterioration in its performance or efficiency. With its powerful features and add-ons, it is considered to be an ideal choice for creating a social media site that encourages each member to engage with others through chatting or sharing certain topics which are factors in the creation of a strong and thriving social media community. It does not even require a lot of effort to design the website, thanks to the four pre-defined layouts that come with the theme. 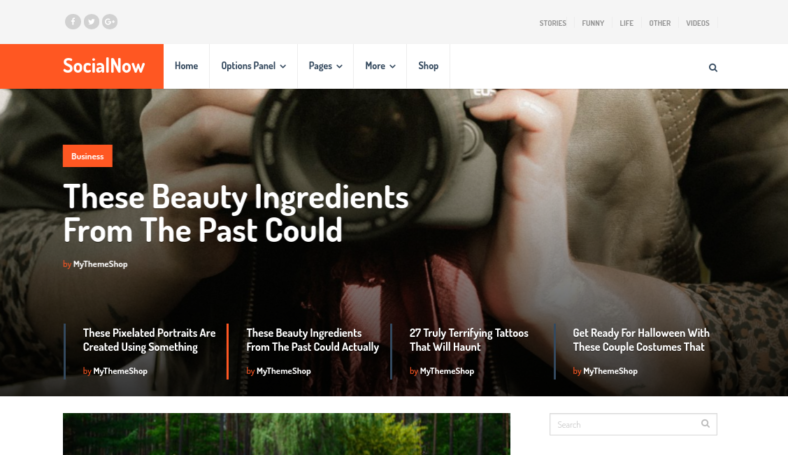 Flocks is a WordPress theme that is made to be social media-ready and is capable of handling all the traffic and content that may flood into it. This theme is designed to be quite responsive so as to allow users across any platform to gain access to the site whether they are on personal computers, tablets, or even mobile phones. This WordPress theme is actually a responsive multipurpose WordPress theme that is capable of functioning as any other site as well. The objective of Flocks is to create a site that is capable of organizing and developing a thriving online community. 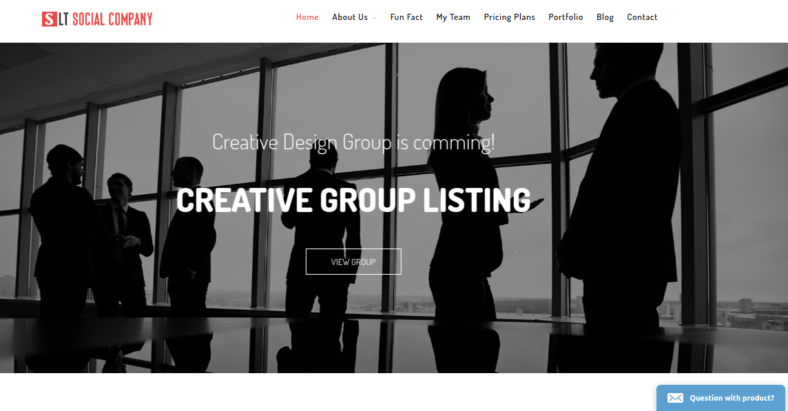 LT Social Company is a responsive WordPress theme that appears simple and basic in terms of graphical appearance. 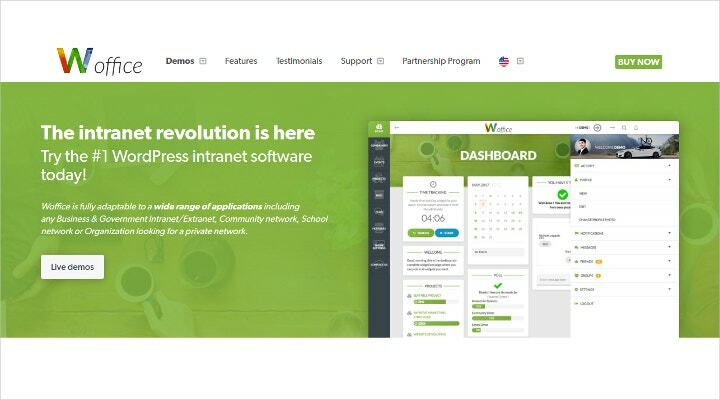 However, the fact of the matter is that this simple-looking WordPress theme actually contains a large variety of functions and features that allow it to actually be considered as one of the best WordPress themes for social networking. For starters, this WordPress theme is made to be completely responsive to whatever device it is being viewed on to ensure that regardless of the method used to display the site, all of the content and features will still be accessible. This WordPress theme template takes advantage of the usefulness of the HTML5 and CSS3 website templates to develop highly detailed websites with advanced functions. These functions complement the features being implemented on the site. These features include: drag and drop layout content, which allows for the easier manipulation of the web page’s contents; unlimited color choices, which can help you design your web page to have brilliant bursts of color; and various others. All of these work together to make this WordPress theme template a deceptively simple-looking yet impressive website template. 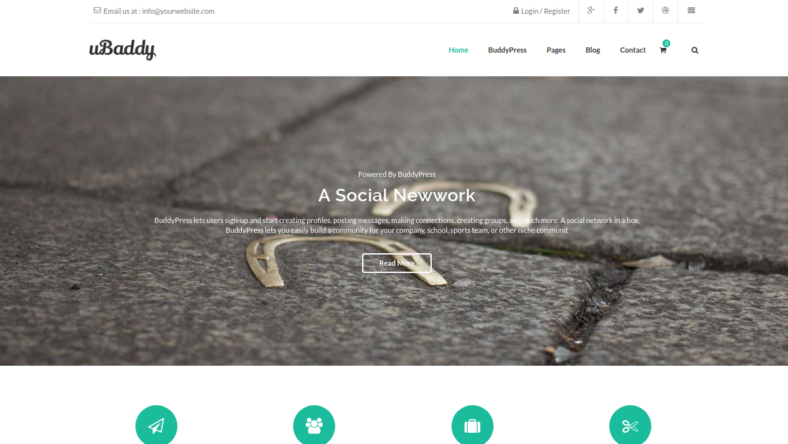 SocialNow is a beautifully made WordPress theme that is for personal or business use. This theme is built with a specialized navigation system that allows users to easily find their content with little to no hassle while built-in community tools such as social media sharing options allow for the online community to grow in size rapidly. It also consists of several other features that are guaranteed to make the process of creating, designing, and uploading your site content simple and fast. 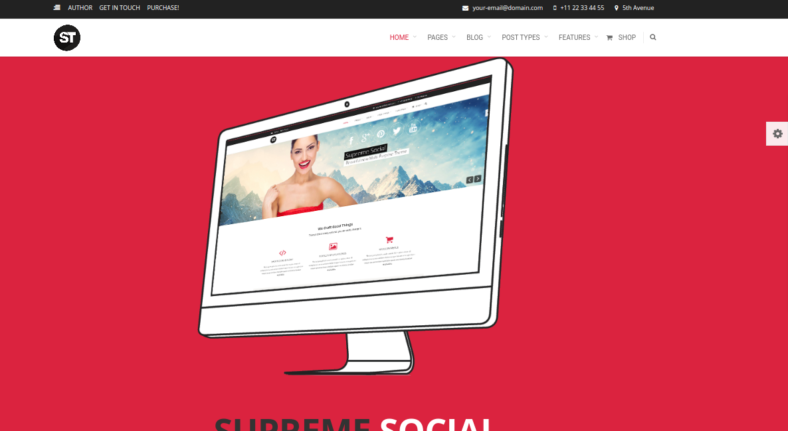 Supreme Social Theme is a multi-purpose WordPress theme where the idea for the design came from the increase in popularity of social media services. This website theme is created in a way that will allow a person to more easily display their contents on dedicated pages, while being optimized to be as user-friendly as possible. This makes this site a favorite pick of different web designers. This responsive WordPress theme is made with the bootstrap framework of Twitter. Salutation is made to be an amazingly responsive WordPress theme that is clean and easy to understand. This website theme allows users to easily manipulate the contents of the web page even if they have little or no experience in website creation. Socialize is a multi-purpose BuddyPress theme that is an excellent choice when it comes to the creation of a social media community because of its simplicity and ease of use. It may appear to be basic, but let’s not judge a book by its cover because this theme has so many features and functions that will allow it to rival even the most advanced-looking website theme.